Home » Uncategorized » Who Decides Who’s a Terrorist? Who Decides Who’s a Terrorist? 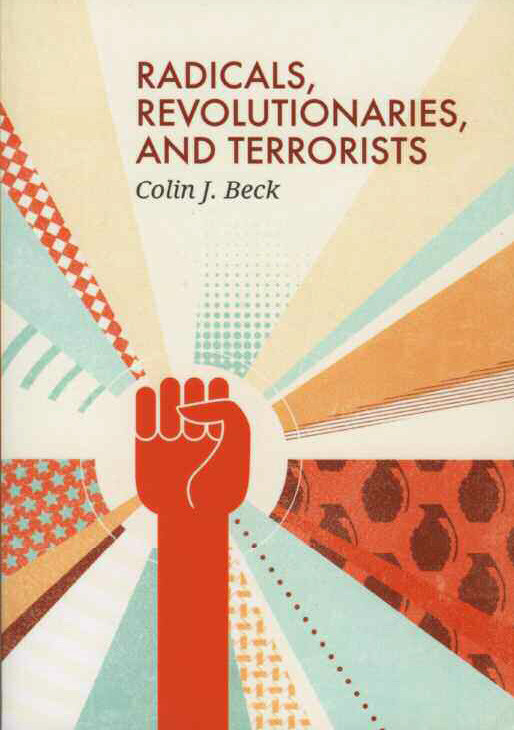 Pomona College Professor of Sociology Colin Beck says the genesis of his recently released book, Radicals, Revolutionaries, and Terrorists, can be traced back to a student’s question during his course of the same name. “I’m just wondering why some groups get labeled as terrorists and others don’t?” asked Emily Miner ’12, an English major who was a sophomore at the time. An excellent question, as there had been no large-scale case studies on how those designations were made, says Beck. So he, in collaboration with Miner over the course of two years, looked at organizations listed as terrorist groups by the U.S. and the European Union, and then compared it to a dataset on terrorist events that occurred. Policymakers and those responsible for the designation of “terrorist,” seize on certain markers, Beck says. Beck and Miner couldn’t find clear geopolitical interests at play, but they did find that the labels weren’t given based on activity. Threat markers that landed groups on the terrorist list included whether they attack airplanes or U.S. and E.U. allies, and whether they are Islamic or not—just by virtue of ideology, not whether they had necessarily engaged in many or high-profile terrorist acts. “What I concluded was that this is basically done in an ad hoc fashion. There’s not a shadowy cabal of government experts sitting around with lots of information,” says Beck, who calls that finding astounding. “Looking through the terrorism lists, my sense was that most of the groups you’d want to designate are on there. But there’s also a number who really don’t make sense to receive sanctions when other similarly sized active organizations do not. Basically, it appears to be the irrationality of using markers—such as whether a group attacks airplanes or is an Islamist organization—that drives the results at the margins,” Beck says. Beck believes this calls into question many of the justifications for the continuing “War on Terror.” This focus on a few markers that signal terrorism—especially the post-9/11 focus on Islamist organizations—suggests that governments are not well equipped to perceive and respond to emerging threats, he says. “The Islamic State was quite downplayed during its initial formation, as was Boko Haram, etc. Like in matters of grand military strategy, it seems that governments are always preparing to fight the last war rather than the next one,” says Beck. Beck and Miner wrote a paper about their findings, which was published in the journal Social Forces. Miner, who is now an English teacher in Los Angeles, says of her work with Beck, “Researching together was an amazing opportunity; even though I felt vastly underqualified in comparison, Colin very deliberately involved me in every step of the process, and the study and paper felt completely collaborative. I learned a lot about the different pieces of sociological research, from data collection to analysis to publication,” she says. In Beck’s “Radicals, Revolutionaries and Terrorists” course, students study groups and personalities from Che Guevara to Al Qaeda to Weather Underground. This semester, Beck will include ISIS and the Arab Spring in the curriculum. Beck says the class discussions and feedback from students gathered over the years were integral to the development of his book. “They were the first audience as well as the inspiration,” says Beck. In his book—which critics have called “sweeping and powerful”—Beck examines eight questions about radicalism, including its origins, dynamics and outcomes. He points out that terrorism is not a new phenomenon. There was a wave of terrorist activity around the world starting in the late 19th century through World War I, when more heads of state were assassinated than at any other time in history, he says. Then as now, there were sharp increases in telecommunications technology and international trade, ups and downs in global economic cycles and demographic pressures, says Beck. Beck says the impact of globalization is one factor that sets our current era apart from past ones. “Globalization gives movements a stage and a target. International connectivity makes it more likely that contention in one place will become contention in another,” he says. Beck hesitates to make predictions, but he says the question is whether ISIS will change as other revolutionary movements have over time, like the Tamil Tigers or Hezbollah or Hamas. He says ISIS’s endgame is still unclear and he questions what their objectives are, despite their stated aims.